New facilities will help accommodate local growth. Philadelphia, PA—Crown Holdings, Inc., a leading supplier of metal packaging products worldwide, has opened three Chinese facilities in Heshan (Guangdong province), Ziyang (Sichuan province) and Putian (Fujian province). The Heshan facility currently operates one can line and one end line, with an initial annual production capacity of approximately 725 million two-piece 330ml and 355ml beverage cans and 1.4 billion 202-diameter ends. Production of ends began in June 2012, while beverage can production started in October 2012. The facility will also have the ability to produce 500ml beverage cans. The Ziyang facility began producing beverage cans at the end of July 2012. One can line is currently in operation, giving the plant an annual production capacity of approximately 650 million two-piece 330ml and 355ml beverage cans. The Putian facility operates two lines and is able to produce 150ml, 330ml and 500ml two-piece cans. The first line began production in April 2012 while the second line started operations this year in February. 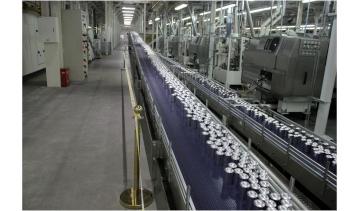 The plant has an initial annual production capacity of 1.4 billion 330ml beverage cans. 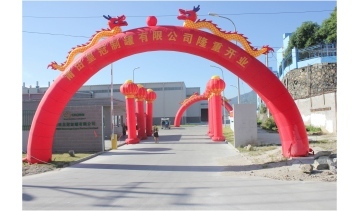 The Putian facility is adorned with decorations for a day of celebration at its official opening on August 1, 2013. The Heshan plant had its official opening ceremony on July 9, Ziyang on July 30, and Putian on August 1 all in 2013. The three plants will bring the total number of Crown beverage can plants in China to seven. Crown Holdings, Inc., through its subsidiaries, is a leading supplier of packaging products to consumer marketing companies around the world. World headquarters are located in Philadelphia. For more information, visit www.crowncork.com.